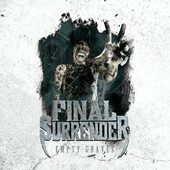 Bengaluru metalcore band Final Surrender. Itâ€™s as simple as removing and adding layers to a track. But the album comes across as a copy-paste job at times, when some fusion parts just donâ€™t gel with the metal, like on their first single â€œRefresh.â€Â It works rather brilliantly, though, on tracks like â€œEgosnakehead,â€ where weâ€™re treated to a sitar solo from Bengaluru-based sitar player Suma Rani during a dissonant breakdown. Thereâ€™s also the sarangi courtesy Bengaluru-based Ustad Faiyaz Khan playing over choruses on this track. Producer Rocky Gray [former drummer of American alt rock band Evanescence] seems to take each song on a trial-and-error basis, getting better at fixing the track levels on â€œNot Done Yet.â€ Unless youâ€™re listening in on headphones, you might just think the Hindustani classical vocals were being sampled. But Final Surrender definitely sound better on â€œSin Beyond Skinâ€ delivering a crushing performance minus the Hindustani vocal and instrumental parts. Unsurprisingly, Hindustani vocal harmonies canâ€™t level it out with vocalist Joseph Samuelâ€™s monster growl. The band also enlisted the Cochin Chamber Orchestra to go the symphonic metal way on â€œSatori,â€ â€œEvolveâ€™ and the mostly-instrumental â€œHouse of Cards,â€ where they fare much better compared to their hit-or-miss Indian fusion tracks. The rest of the 12-track album, the follow-up to Final Surrenderâ€™s debut 2010 albumÂ Expanse, begins to bore until the penultimate track â€œMonkey The Dog,â€ which ticks all the boxes for metal fans, fusion fans and closes with a Bible verse to make sure you know what theyâ€™re talking about. The Christian element to their music isnâ€™t off-putting since they are growled most of the time. Amen to that. Empty Graves is out on November 5th on Rottweiler Records. Pre-order here. 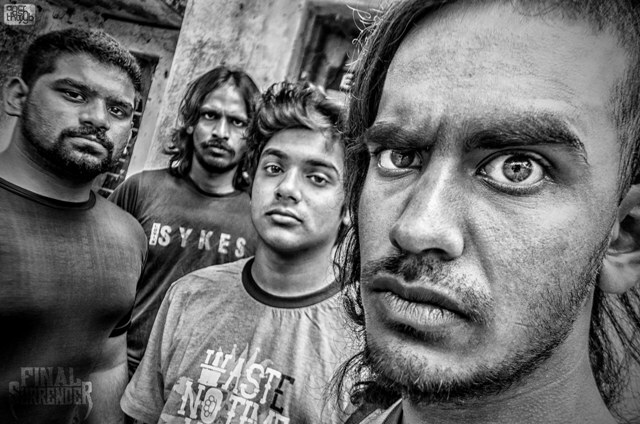 Final Surrender perform alongside Demonic Resurrection and Theorized at CounterCulture, Bengaluru on November 3rd, 2013. Entry: Rs 400. Event details here.